This is a collection of critical essays that integrate literature and ideas. Daniel Fuchs presents the writer's individuality as artist and thinker, focusing on the writer's interaction within a wide range of cultural, political, and historical periods and situations representative of the modern period. The essays reflect a progression that goes beyond chronology or historical survey in the consistency and interrelation of the literary and cultural themes explored and the references within them. 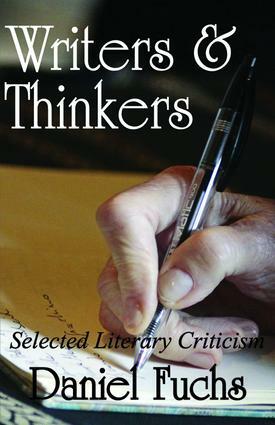 The book is built around writers who are of central concern to the author. It does not pretend to be a comprehensive framework for analysing modernism. Fuchs first deals with high modernism, in discussions of Hemingway and Stevens, who in different ways critique tradition and collapsing values. The essays that follow deal with the "contemporary,"and here the focus is mainly on American Jewish writers and their cultural impact after modernism. The author's stance is in relation not only to these traditions but to others that might be thought antagonistic: the formalism of the New Critics and the deconstructionism that reduces the author to a replaceable variable in the dialects of cultural power relations. Fuchs pays tribute to the former, illustrating wider points in literary, socio-cultural, and political history. The overall emphasis on these "extrinsic" matters underscores the book's appeal to a wide audience.